Bella - A custom Print. I am having fun with these custom prints. 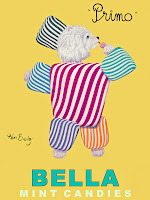 Very personal and now I know there is a little Westie out there named Bella.